The SS-RJ-EL Pump Set from VID Fire-Kill is a pump station featuring two single-stage fresh water pumps and a jockey-pump. This allows for 100% redundancy. 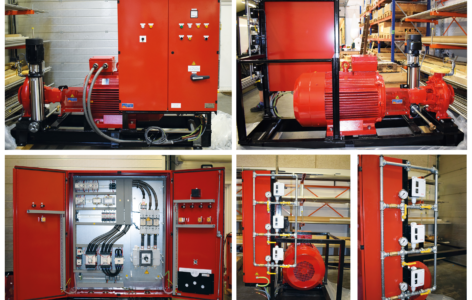 The pump station has been designed to be robust and reliable, as well as easy to transport and install.